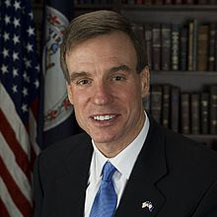 U.S. Sen. Mark R. Warner (D-VA), a member of the Senate Banking and Finance Committees, spoke on the floor of the Senate in opposition to the nomination of Steven Mnuchin as Secretary of the Treasury. A final vote on that nomination is expected to occur on Monday. A full transcript of Sen. Warner’s remarks follows. Madam President, I rise today in opposition to the nomination of Mr. Steven Mnuchin to serve as our nation’s next secretary of the Treasury. As the President’s principal economic advisor, the Treasury Secretary holds a special significance in our government. The Treasury Department must ensure America’s debts are paid, secure our role as a global economic power and develop policies that help build an economy that works for all Americans. Based on Mr. Mnuchin’s record, my meeting with him along, with his answers during the Senate Finance hearing and follow-up questions, I am unable to support his nomination to serve as Treasury Secretary. I want to take time today to discuss some of the specific policy issues that Mr. Mnuchin and I disagree with on and some of the areas where I hope that if he is confirmed, we might be able to find common ground. On financial reform and protecting the economy from too big to fail, Mr. Mnuchin’s comments coupled with comments and announcements from others in the Administration are deeply concerning. Mr. Mnuchin’s statement of concern about Title II of the Dodd-Frank, in particular revealed to my mind at least a disturbing lack of understanding about how the financial system has evolved since the 2008 crash. We should never forget Lehman Brother’s collapse caused enough uncertainty across the financial system to trigger a run on nearly every other bank. The collapse also required that $700 billion taxpayer bailout. The resulting financial chaos destroyed millions of jobs, devastated home values, and froze lending to consumers and small businesses. The truth is many Americans are still trying to dig their way out of that financial crisis. So to ensure that taxpayers didn’t end up on the hook again for another bailout, Congress passed Dodd-Frank. It required banks to put additional financial capital to make sure that there was living wills so these significantly large financial institutions actually had ways that they could resolve themselves and in a sense get ready for bankruptcy. But we also said in the event that bankruptcy was not adequate, there would be as a cause of last resort the ability—using the FDIC—to unwind these large institutions. Well, we are years later and what we’ve seen is that other countries around the globe had basically modeled their systems after what we created in terms of Title I and II in Dodd-Frank. Since 2010 our regulators have worked diligently with the Bank of England and other foreign counterparties to ensure a global mega bank can be resolved without using taxpayer dollars. I would further note that even the National Bankruptcy Conference, which is composed of bankruptcy judges, lawyers, and academics, believes quote “orderly liquidation authority under Title II should continue it be available even if the bankruptcy code is amended. Unfortunately, Mr. Mnuchin and other members of the Administration have expressed great concern with Title II and that causes me concern in terms of his nomination. In tax reform, the Secretary of Treasury also has historically played an important role. I’ve long argued that our tax code is broken. It’s simply not working for enough Americans and American businesses. I welcome efforts to smartly and on a bipartisan basis work to reform the tax code, but I’m concerned about how a tax reform process under this Administration might play out. First, Mr. Mnuchin has repeatedly said that there should be no absolute tax cut for the upper class. I found that good. Some even have started to call this the Mnuchin rule. As the nominee, though, he has failed to commit to following his own rule or to provide any specific answer on how we would reduce the tax burden on middle class and working families. In fact, President Trump campaigned on a plan that based upon independent budget analysis, would add close to $5 trillion to our national debt and that would in the same amounts slash taxes for corporations and those at the top of the income scale. Yet this same plan and any effort to be revenue neutral would end up raising taxes on middle class families. The truth is again, independent analysis of President Trump’s plan shows that while middle class earners might see a smaller increase in their after tax income, the increase and the benefits to the upper 1% would be where most of the benefits went to. And that is before we even get to issues like as well the President’s plan to repeal the Affordable Care Act and the implications that has for middle class Americans. Because of this and because of his unwillingness to explain how we would pay for this tax reform and the notion that somehow the dynamic scoring this will all in effect self-correct leaves me with great concerns. I would simply point out to my colleagues that when Mr. Camp proposed a tax reform plan that I didn’t agree with but at least had some basis in financial reality, there were eight separate dynamic scoring plans put together. In effect, magic dust that could somehow resolve even big tax cuts that would somehow mysteriously pay for themselves. We saw the effects of that kind of action with the Bush tax cuts early in 2003. We’ve seen as well in terms of actions that led our country to $23 trillion in debt. So I believe that Mr. Mnuchin’s failure to come through with a truly revenue neutral or legitimate plan that would not misuse dynamic scoring raises enormous concern as well. Finally, I’m concerned that Mr. Mnuchin lacks an understanding of the critical role that the Treasury Department plays in both crafting and implementing economic standards. Now, it was useful to hear that Mr. Mnuchin committed to a hundred percent sanctions during his nomination. I’m not sure with some of the actions of the Administration since then that we can actually hold him to those commitments. Treasury obviously has a role that’s much more important than just enforcement. Treasury’s role vis-a-vis Iran, vis-a-vis the Russian sanctions are extraordinarily important. His unwillingness around Russia to make a firm commitment again raises clear concern to me. This is concern shared by both Democratic and Republican members of this Senate who feel that we need to keep the pressure on Mr. Putin’s behavior, not only in the Middle East but in Ukraine and candidly Russia’s unprecedented involvement in interference in our own elections. Again, the Treasury Secretary plays an important and critical role. There are areas, let me make clear, though, where if Mr. Mnuchin is confirmed, I hope to work with him. And that one area in particular is housing finance. I believe very strongly and having worked with many members on the other side that we need to reform our housing finance system so we don’t have, in the case of Fannie and Freddie, instances where when times are going good, there’s private sector gain but when crisis happens, the taxpayer pays the bill. We saw this take place back in 2008 when the American taxpayers literally had to put up $188 billion of taxpayer money to bail out Fannie and Freddie. It is true many years later most of those funds have been repaid, but as somebody who spent longer time as a venture capitalist than as a Senator, I can assure you the taxpayers did not get a fair return on those funds that were taken out in the midst of the crisis. And now we see certain hedge funds who are trying to take advantage of this arbitrage buy-in to Fannie and Freddie and then hope policymakers will turn a blind eye and simply return to the old style of doing business. As long as things are going well, hedge fund and others will do well by owning Fannie and Freddie but if the stuff hits the fan again, taxpayers will be caught holding the bill. I was happy to hear and I was pleased to hear that Mr. Mnuchin went on record during the finance hearing opposing the so-called “recap and release plan” and was supporting a bipartisan solution to reform these entities. Again, if Mr. Mnuchin is confirmed, I look forward to working with him in this area. Finally, an area that I think most of us on both sides of the aisle realized that we can’t play Russian roulette with. That is dealings with our debt ceiling. Here was again an area where I would actually give Mr. Mnuchin some credit where he acknowledged that this notion that some have put forward that America can somehow prioritize paying one bill and not another is both financially unsound and practically impossible. On that item, I want to give Mr. Mnuchin his due. So on balance because of some of the comments that Mr. Mnuchin has made around tax reform, around sanctions, around the issues related to making sure there was a vigorous and independent treasury, I don’t believe he brings the characteristics and qualities needed to be a Treasury Secretary. So I will not be able to support his nomination, and I’ll urge my colleagues in joining me to oppose him when his vote comes up on Monday. Madam President, with that, I yield the floor.